Does Typing Technique Really Matter? With so many different gadgets today that require typing of some sort, it’s even more important than ever to hone your typing technique. 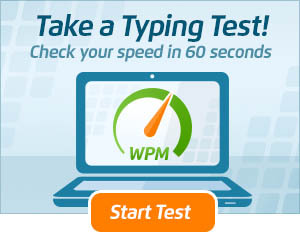 Many people think they can ace a typing wpm test or type up a document in record speed simply based on their ability to send multiple text messages or reach the high score on the latest video game with just a few clicks. The reality is, these are the same people who are dumbfounded when they apply for a job where a wpm test is part of the hiring requirement and they fail the test! There is a huge difference between typing correctly and pushing the keys on a cell phone, and keyboarding skills are unfortunately not something that we are all naturally born with. The hunt and peck typing method doesn’t fare well in an office setting. In today’s competitive job market, it is important for anyone applying for an administrative job to learn to type. While it is a common misconception that typing in any fashion still gets the job done, the truth is that using certain techniques in your daily typing practice can actually help increase speed and accuracy. Typing lessons that are taught in junior high and high school follow a basic curriculum for touch typing. The final typing test wpm usually consists of the keyboard being covered up so the student must use their instincts to find the keys. This type of teaching allows for faster words per minute and less mistakes, as the typist is only looking at the screen instead of taking extra time to look down at the keyboard. 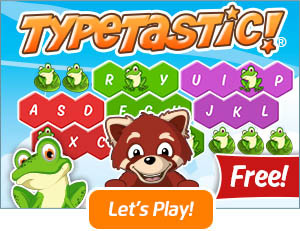 Touch typing allows for optimal hand-eye coordination. When this typing practice is utilized, many typists find that they rarely look down at the keyboard, and when they do, it is only for a few quick seconds. If you are someone who tends to practice the “hunt and peck” method, or if you have come to the realization that your current typing skills don’t match your texting or gaming ability, don’t despair. 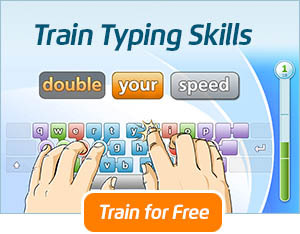 There are a variety of ways to build your typing speed as well as learn to type in the correct fashion. Many online tutorials teach keyboarding and offer practice typing tests as well as free typing lessons that can help you build up your skills in a short matter of time. If you have a big job interview where a typing test is required, you may also be interested in working with a typing tutor. It is perfectly normal in today’s highly technological world to have a few bad habits when it comes to typing. Everything is literally at our fingertips, and people are used to getting what they need with the push of a single button. While the typewriter has evolved into the computer keyboard, the basic techniques of typing are here to stay. All it takes is a little practice to un-learn bad typing habits, and before you know it, you will have cultivated the proper typing techniques to increase your speed and accuracy in no time.